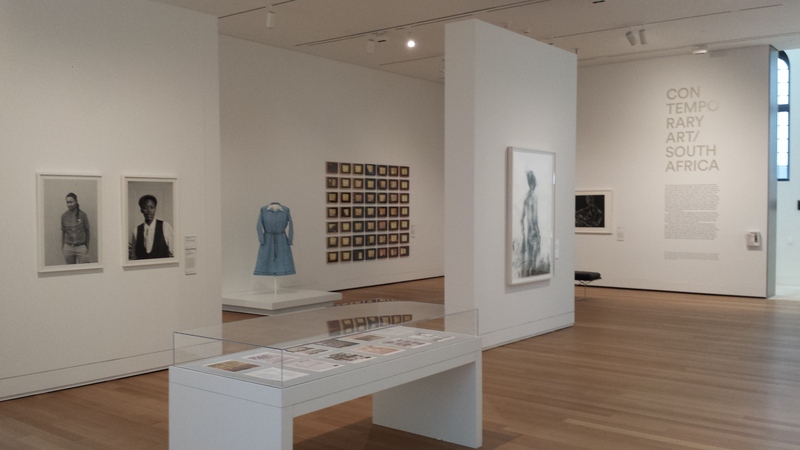 There’s an exhibition of contemporary art from South Africa running all summer at the Yale Art Gallery, and I think you should come over here and see it. Curated by a group of students from various disciplines, it explores a combination of ideas through contemporary art and South Africa. The exhibition focuses in on three bisected themes, drawing attention to connections and separations of those themes and looking at South African history as well as art. These themes are the personal and the social, art and politics, and “here” and “there.” It includes established South African artists as well as some seldom seen outside of the continent. 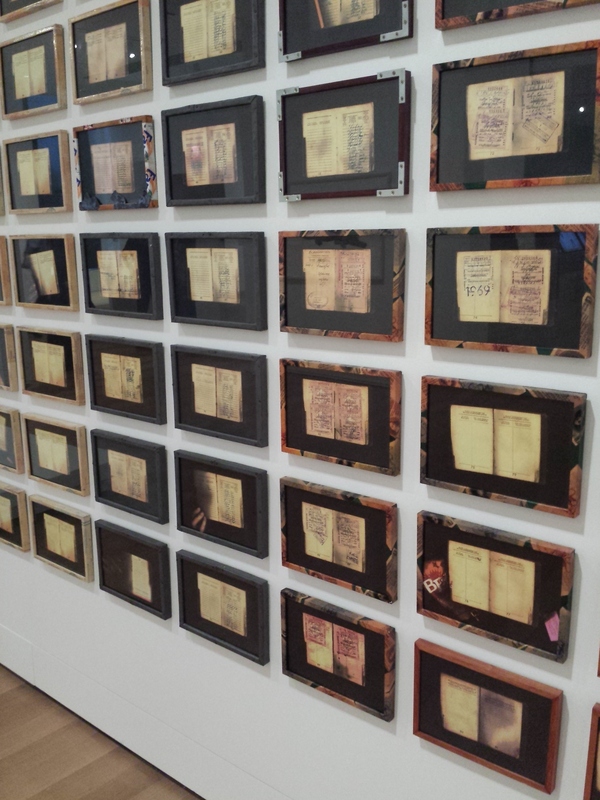 I was struck by Sue Williamson’s For Thirty Years next to His Heart, a series of 49 photocopies of one man’s Apartheid-era passbook. I was looking into his life as a book: his work passes, his travel stamps, essentially his right to exist in his homeland – as dictated by the Apartheid regime. There are only a few images where you catch glimpses of the owner’s fingers, and beyond that his life is told through stamps and signatures and documentation. “For Thirty Years next to His Heart,” by Sue Williamson (1990). 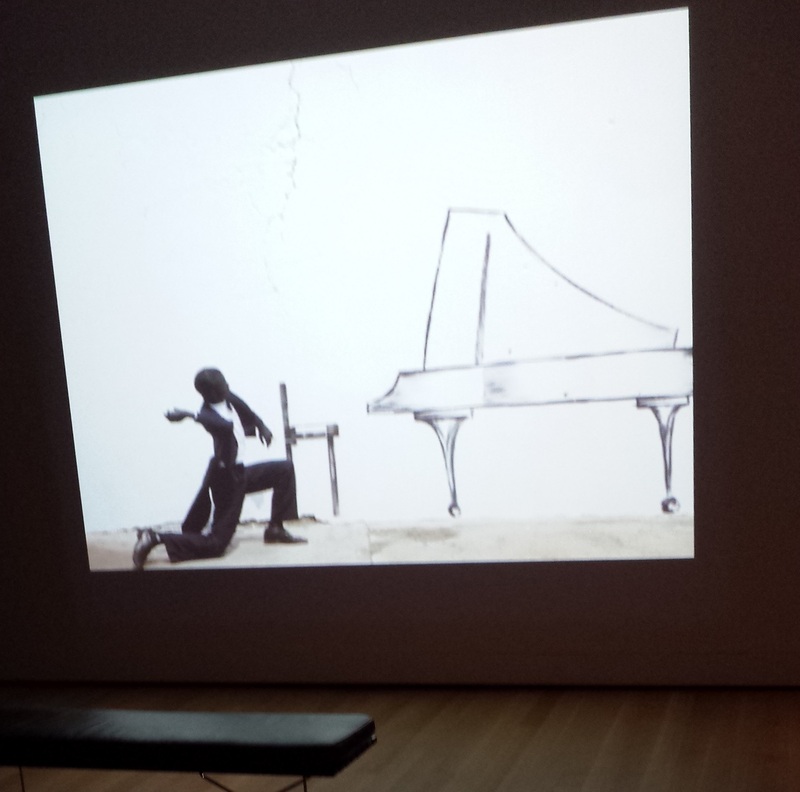 The exhibit includes a number of video installations, including Robin Rhode’s Piano Chair (here’s a short video I took) – Rhode gave a talk at Yale last year, and I was very intrigued by his art and his description of his work. There is also William Kentridge’s What Will Come, a unique video projected onto, and reflected off of, a table and cylinder that you can see in action here. “Piano Chair” by Robin Rhode. (2011). Also included, although for a slightly shorter duration, is Mikhael Subotzky’s Moses and Griffiths [trailer at link], a four-panel video installation that may make your neck sore and your head spin, but is really worth sitting through, even several times. It features the two eponymous men, tour guides from conservative historical monuments, and pits them against themselves – one video telling their scripted monument’s story and one video telling their personal life story in the same setting. The audio jumps around, but the subtitles remain, so you can narrow your focus on one man’s story/script or you can enjoy the dissonance and cacophony of them speaking over each other, over themselves, and discussing the perils of English settlers as well as their own personal struggles with Apartheid. 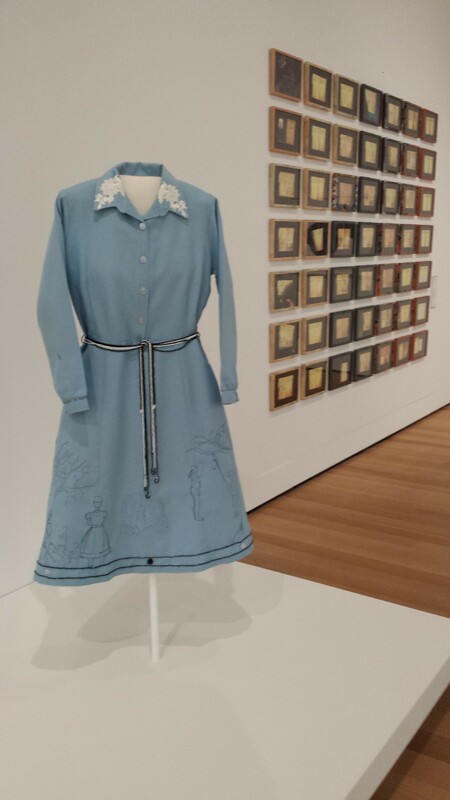 Subotzky’s is perhaps my favorite piece, because it speaks so much to the power of institutions of public memory, personal memory, and storytelling. 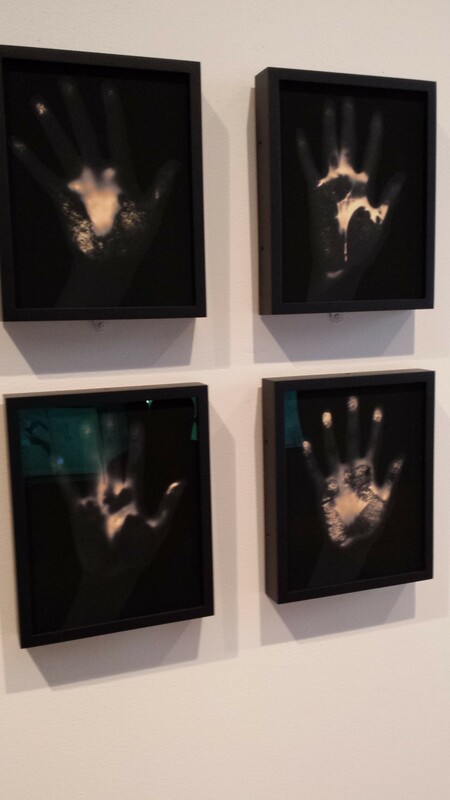 Four pieces from Gary Schneider’s “HandPrint Portraits” series (2011, 2013). “Our Mother III” by Senzeni Marasela (2006). A page from “A South African Colouring Book” by Gavin Jantjes (1978). 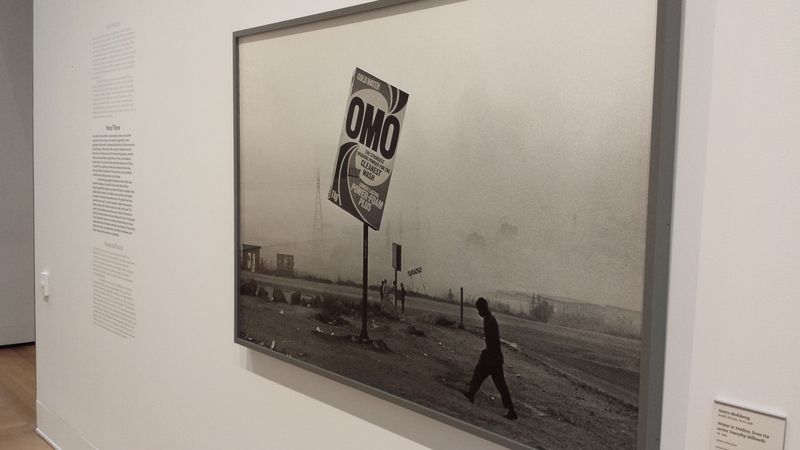 “Winter in Tembisa,” from the series Township Billboards, by Santu Mofokeng (c. 1991). 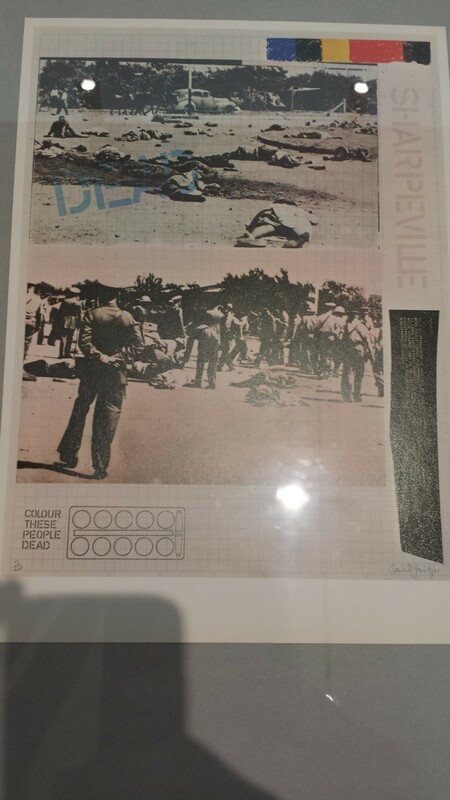 This entry was posted in Art, Reviews and tagged Apartheid, art, Contemporary Art, South Africa, Yale Art Gallery. Bookmark the permalink.